The Goode Touch Interiors design team recommended an entry rug and a stairway foyer rug to warm our client’s open floor plan and expansive wood floors. 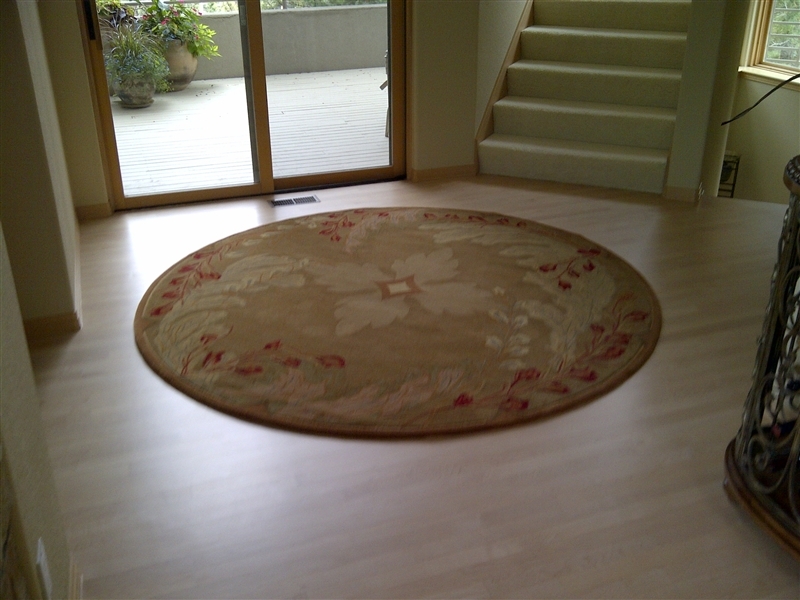 The sizes needed were not standard, so we designed two rugs with Allure Custom Rugs: a 52” x 19’ runner for the Entry and a 7’ round for the Foyer. The rugs are located within visual proximity of one another, so they needed to complement one another (without being to “matchy-matchy”). 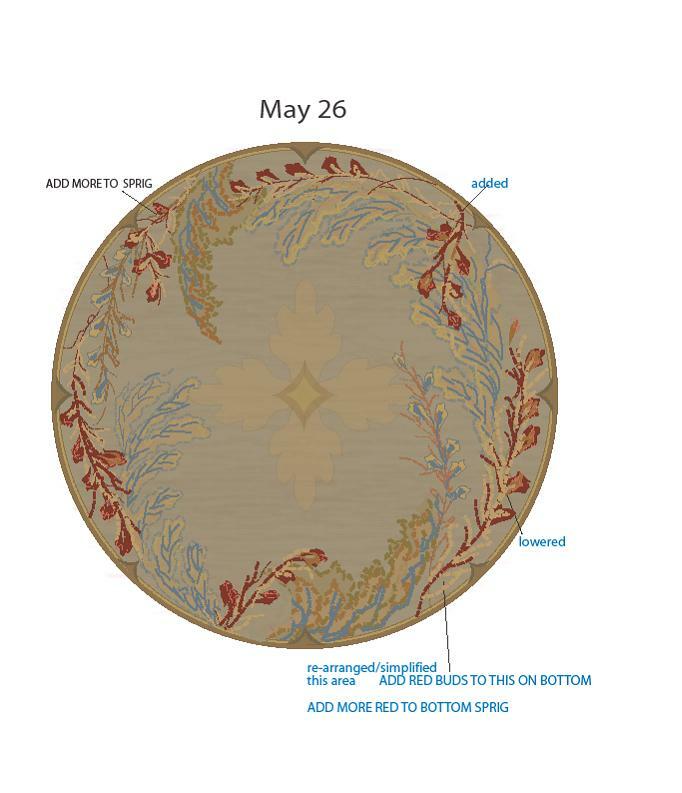 Our inspiration sprang from the fabric used on the dining room captain’s chairs. 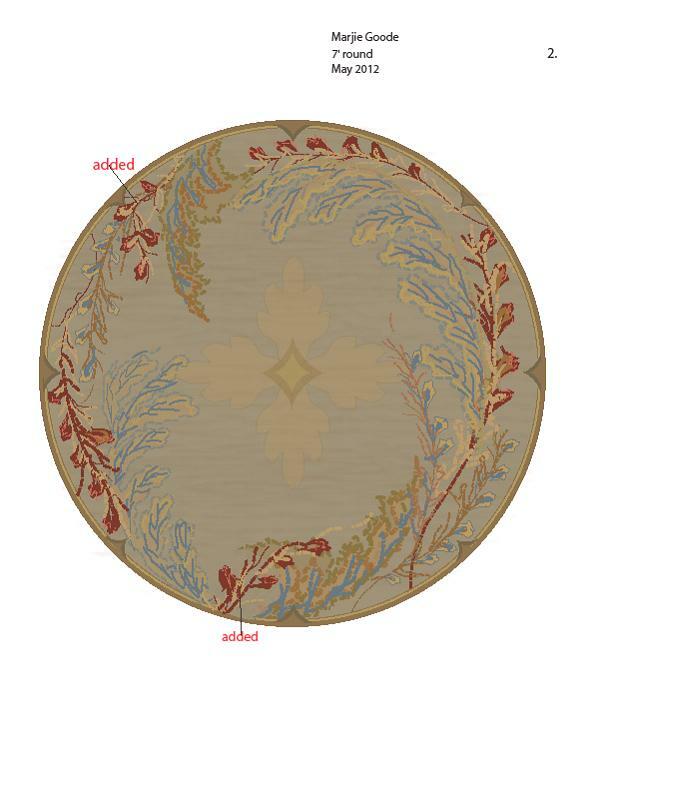 As you scroll down the drawings and photographs you will see the process of creating these rugs. 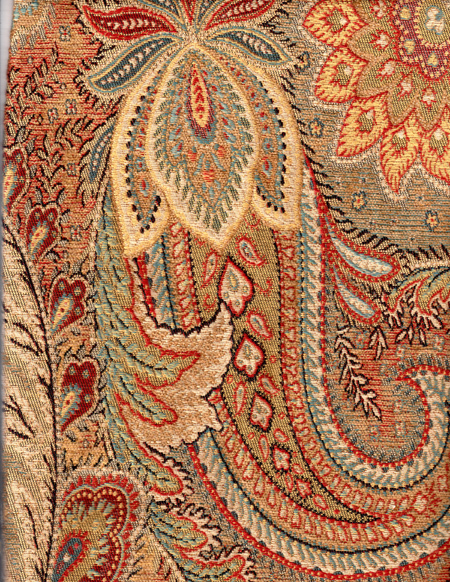 This is the fabric used on the dining room captain’s chairs (which are visible from the entry). 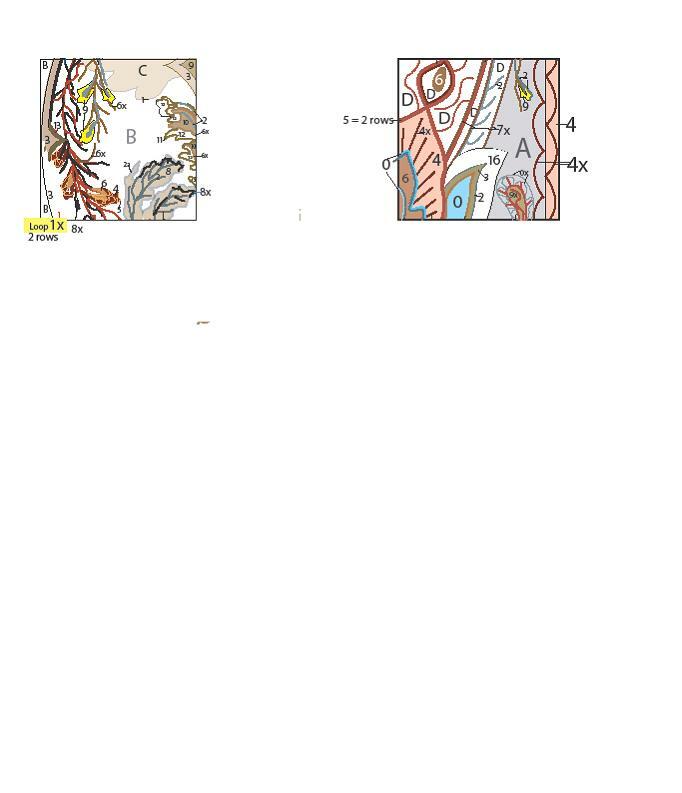 From the renditions below, we selected the favored elements to work into the final design of the entry runner. 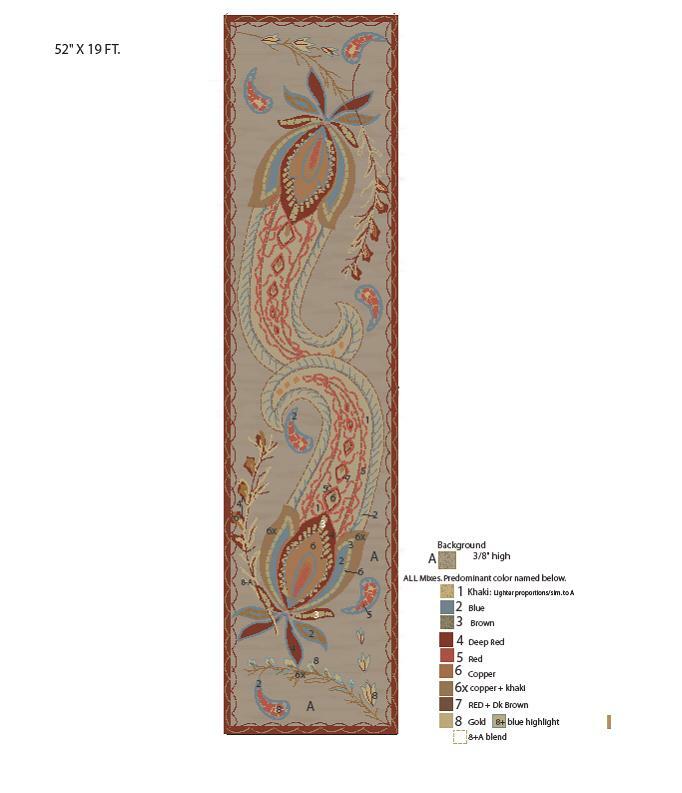 Here is the final design for the entry runner along with the yarn selections picked from poms of solid colored strands and mixed strands. 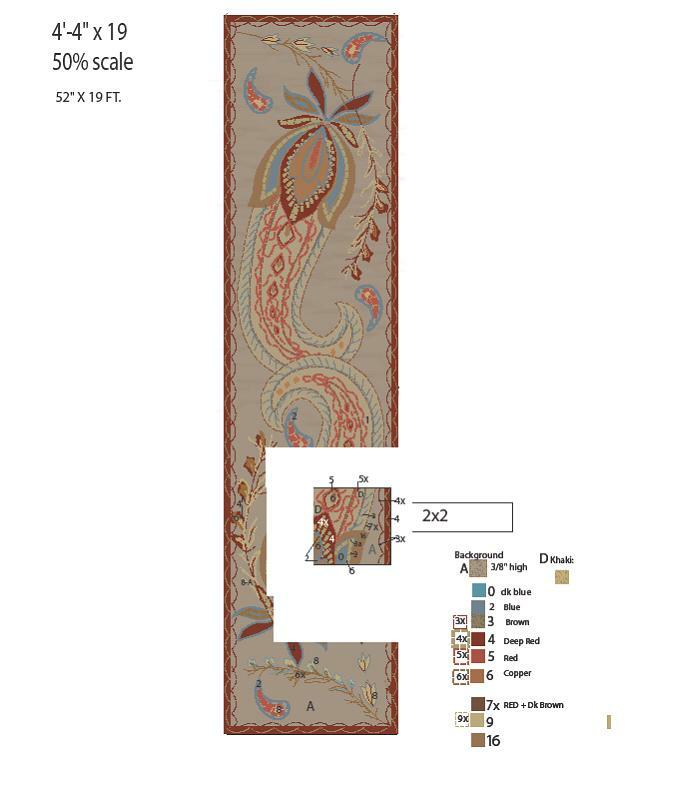 This rendering shows the area of the rug selected to use for the strike off (an actual sample of an area of the rug manufactured for approval). 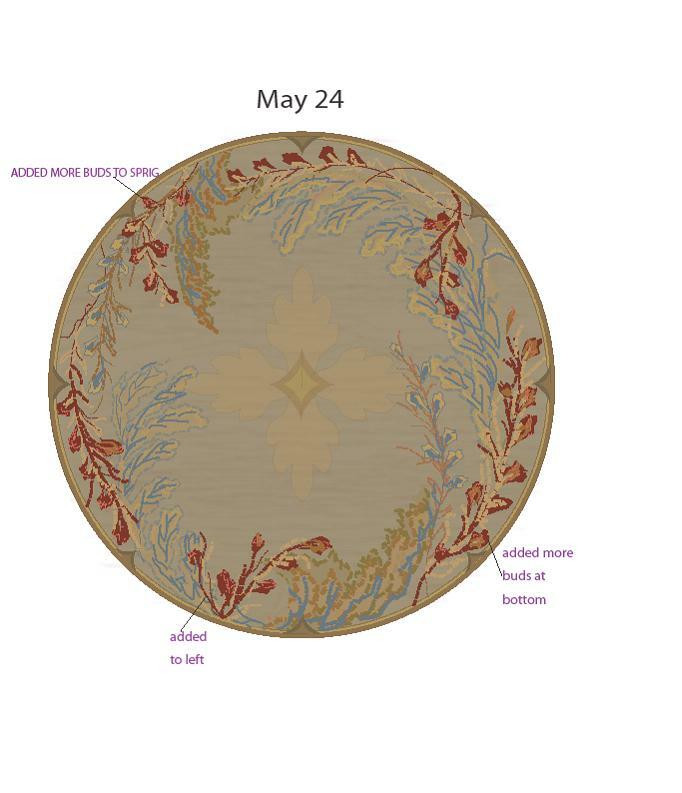 Here is an image of the round foyer rug. 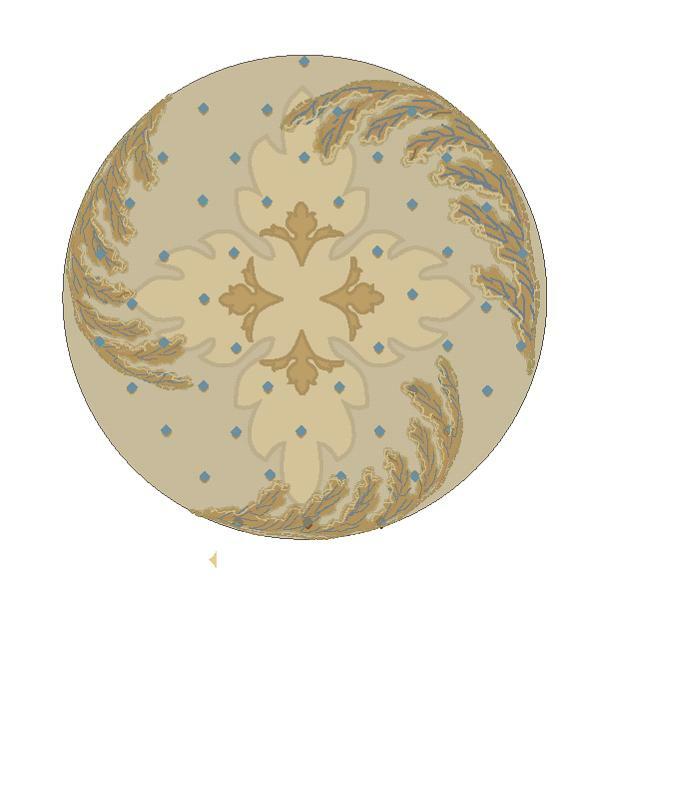 The design we opted for has an organic, free-form detail (floral sprigs and leaves) intertwined with a more traditional, formal detail (large medallion). 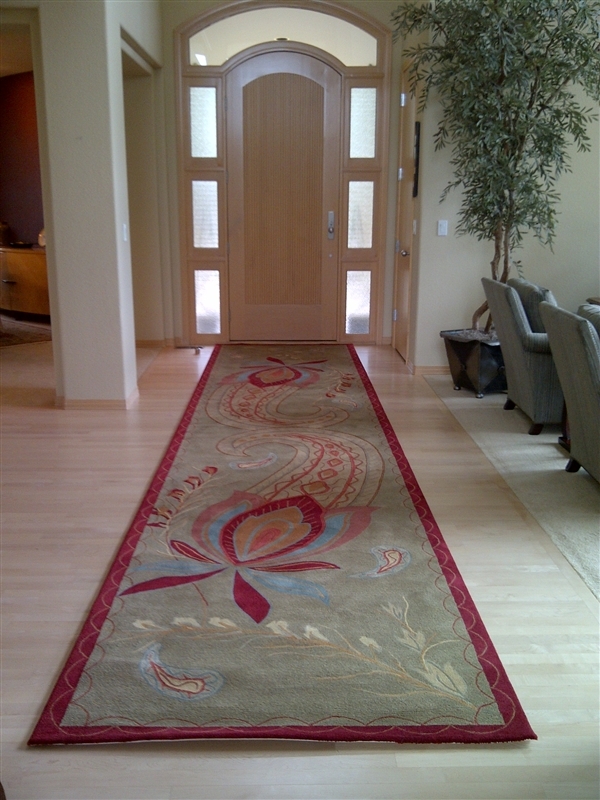 Adding sprigs with buds in warm red and copper hues helped bring visual correlation between the Foyer rug and Entry rug. Additional sprigs and buds were added to convey more visual color balance. A few more changes to the sprigs and buds finalized the balance of the color and free form elements. This specified art was used by the weavers to manufacture the strike offs. 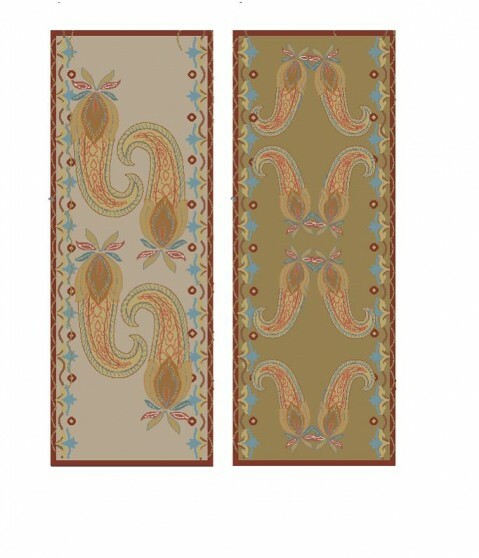 The art on the left is for the 7’ round Foyer rug, while the art on the right for the 4’4”x19’ Entry runner. 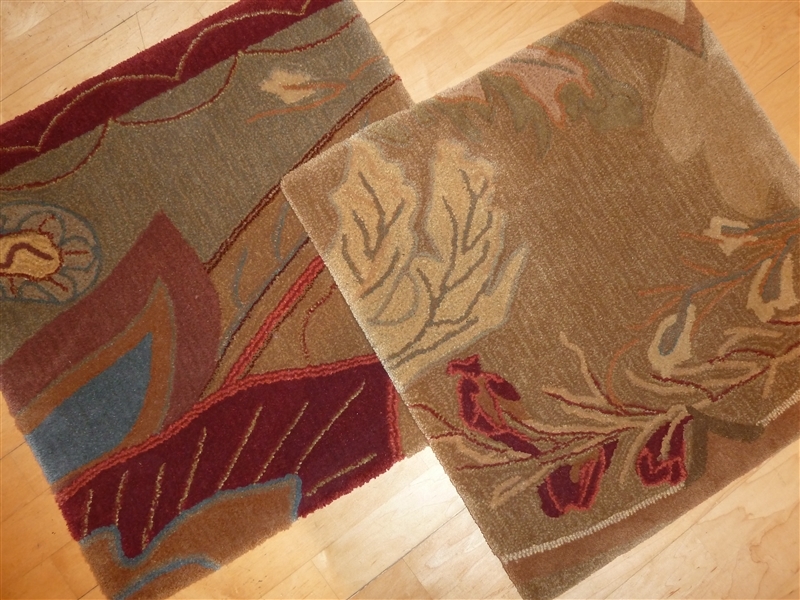 Here are the two strike-offs: Entry runner is on the left, the Foyer rug is on the right. Having these samples allowed us to verify they would compliment one another nicely. 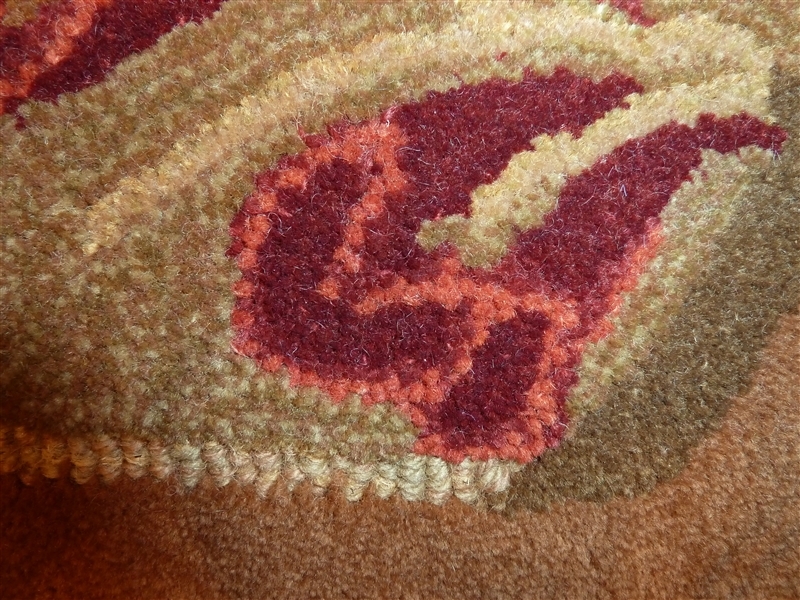 Here is a close up of the Foyer rug to show some texture detail of the loop (at the lower left of the photo – beige yarn) and cut pile.